Dave is a trial lawyer with over 20 years of experience in a broad range of personal injury, governmental/municipal liability, automobile negligence, construction accidents, homeowners’ insurance, bad faith and premises liability litigation. He has defended multiple companies, insurance carriers and governmental entities in complex personal injury claims involving wrongful death, permanent injuries and catastrophic loss. For the past decade, Dave has focused on litigation which has helped define the parameters of sovereign immunity law and government liability in the Commonwealth of Pennsylvania. He has helped his clients obtain several favorable opinions on important questions of immunity. 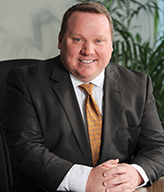 Dave has had trial responsibility for well over 1,000 cases and has tried 100’s of cases involving plaintiffs in jurisdictions throughout Pennsylvania and New Jersey. He has provided seminars to several insurance carriers on claims handling “best practices” and developments in “bad faith” law in this region. Dave serves as regional counsel for several intercollegiate fraternities and has lectured nationally on risk management concerns for Greek organizations. He has assisted his clients in obtaining several favorable opinions on fraternity/social host liability.